Get your own sim from Anshe Chung! 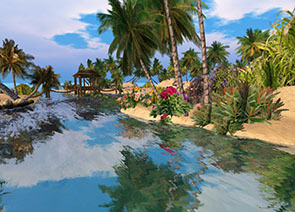 Take advantage of this great opportunity to obtain your very own private island sim in Second Life. Our next generation sims are not just normal homesteads or full region sims, but they come landscaped and pre-built. Choose from 20+ designs! All content in our sims is also extremely prim efficient. You won't believe what we can pack into a sim! Of course you can also build yourself and bring your own content. 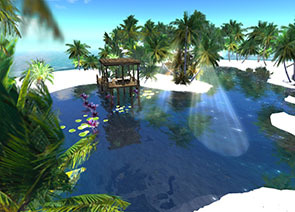 Your own Second Life sim for 7299 L$ per week! 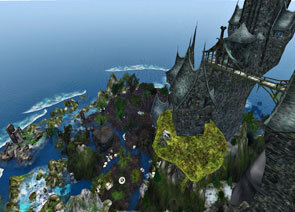 20000 Prims Full Region for 15299 L$ per week! 30000 Prims Full Region for 17299 L$ per week! Enjoy maximum safety and professional support dealing directly with virtual real estate pioneer and her team. Please leave a message and we will respond within 24 hours.